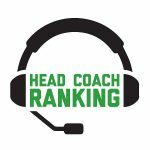 Attempting a ranking of the hot-seat quotient for the NFL’s head coaching continent inherently means taking a reading based on a particular snapshot in time. With the fortunes of coaches rising and falling on a week-to-week basis based on the outcome of their latest games, it’s never a static measurement. Last week at this time, Dallas’ Jason Garrett and Denver’s Vance Joseph would have been in some order the top two names to focus on, given the perception of their very tenuous job security. Then the Cowboys went out last Sunday and bushwhacked visiting Jacksonville to the tune of 40-7, and on Thursday night, the Broncos looked like world-beaters on the road in humiliating Arizona, 45-10. In both cases, victory applied the necessary tourniquet to stop the bleeding. At least temporarily. 1. Vance Joseph, Denver: The rout of the Cardinals definitely eased the level of heat Joseph is working under, but it by no means erases it. Since starting last season 3-1, the Broncos are 5-14 overall, including 2-9 on the road. With Broncos football czar John Elway throwing around words like “fighting for our lives’’ in the days leading up to the game in Arizona, some expected Denver (3-4) to make a coaching change if the Broncos lost to the one-win Cardinals. One victory helps, but it isn’t going to completely alter the underlying fundamentals of the underachievement problem in Denver. The Broncos have games at Kansas City (5-1) and home against Houston (3-3) before their Week 10 bye, and that’s Joseph’s next employment pressure point. Anything less than a 4-5 record and Elway probably makes the move he almost made last offseason after Joseph’s 5-11 rookie campaign. 2. Dirk Koetter, Tampa Bay: The Bucs started 2-0 amidst Ryan Fitzpatrick’s magic, but are 0-3 since, failing to pull any rabbits out of their hat against Pittsburgh, Chicago and Atlanta. The 48-10 blowout road loss to the Bears in Week 4 was the most damaging development for Koetter’s chances to survive in the job, and you get the feeling this week’s home game against Cleveland (2-3-1) is pretty much must-win material. A fourth consecutive loss, to the formerly bedraggled Browns in this case, could well create a dead-man-walking feel to both Tampa Bay’s once-hopeful season and Koetter’s job status. 3. Steve Wilks, Arizona: Thursday night’s embarrassing 35-point home loss to Denver better represent hitting rock bottom for Wilks, Arizona’s rookie coach who has lost six of his first seven games leading the Cardinals. His team is 0-4 at home for the first time since 1979, when the Redbirds still had eight years left remaining in their St. Louis tenure. The Cardinals look overmatched on offense, ranking last in most major statistical categories, and offensive coordinator Mike McCoy was offered up Friday morning on the sacrificial altar of change for the sake of change. Two points to keep in mind: The Cardinals ownership is not known for being impulsive, so the Bidwill family firing a first-year head coach isn’t likely unless things grow increasingly dismal and fan unrest greatly intensifies and makes Wilks’ status untenable. Also, don’t be surprised if general manager Steve Keim is the head that rolls at some point, either along with Wilks or separately. Keim’s star has dimmed considerably in the desert, after his offseason DUI arrest and that ill-advised and overly lucrative Sam Bradford contract he handed out. 4. Jason Garrett, Dallas: At 3-3, the Cowboys’ season appears to be at a crossroads, and this week’s road game at first-place Washington could be a major pivot point in either direction. If ever there was a very winnable NFC East title up for grabs, it feels like the opportunity may be there this season. With his meager results, Garrett’s continued job security has baffled many. He has a 70-56 mark since replacing Wade Phillips in mid-2010, with just one playoff win to go with his three winning seasons and two postseason berths. Dallas has alternated losses and wins each week so far, going 3-0 at home and 0-3 on the road. With the date in Washington looming and then a Week 8 bye, it’s a pretty critical time for Garrett in terms of his coaching future. 5. Hue Jackson, Cleveland: The Browns have obviously shown progress this season, earning two wins and a tie (all at home), after the nightmare of 1-31 the past two years. But let’s not forget, Cleveland general manager John Dorsey didn’t hire him and undoubtedly has his coaching wish list long since compiled. If the Browns (2-3-1) don’t continue to be competitive and get their share of wins, there’s no guarantee Jackson’s status won’t come into question as the season unfolds. There’s hope in Cleveland, but the bar of expectation has now been set higher and the Browns at the moment are still in last place in the AFC North. 6. Jay Gruden, Washington: We’re opting to list the East Coast Gruden rather than the West Coast Gruden, because let’s be serious, as bad as the Raiders (1-5) have been under Jon Gruden, Oakland owner Mark Davis isn’t walking away from him and eating that contract. But Jay Gruden is another story, and Washington’s relentless mediocrity (18-18-1 in its past 37 games) could be his undoing. At 3-2 and in first place in the NFC East, the season remains promising. But let Washington lose this week at home to Dallas and who knows which direction things will head in D.C.? Like the Cowboys, Washington has alternated wins and losses each week of the season, and that kind of status quo can be maddening and create powerful fan frustration in the NFL. 7. Mike McCarthy, Green Bay: The expiring shelf life of an NFL coach surviving in one market is a very real consideration and phenomenon that can’t be discounted. Even when it’s a highly successful tenure like McCarthy’s with the Packers. Fair or unfair, the reality is after 13 years in Green Bay, McCarthy’s message might be growing a bit stale and has lost some of its impact. It happens to some of the best coaches. After last season’s 7-9 mark, largely without a healthy Aaron Rodgers, nothing short of a deep playoff run might save McCarthy’s job. If Green Bay (3-2-1) doesn’t make the postseason, change is likely inevitable. And with McCarthy and Rodgers again seemingly not working together hand in glove, that only adds to the sense that the end of an era might be approaching. 8. John Harbaugh, Baltimore: There’s a sense of heightened urgency everywhere in Baltimore this season, with good reason. After missing the playoffs the past three years, and four out of five, it’s time to win again. As respected as Harbaugh is in the game, he was high on this list to start the year, and still has to be included somewhere. But the Ravens have responded to their situation accordingly and played well in starting 4-2, grabbing a share of the AFC North lead with Cincinnati. Now they must finish the job and get back to the postseason, with revitalized quarterback Joe Flacco and a dominating defense leading the way. Otherwise change is on the way. 9. Pete Carroll, Seattle: Much of what I just wrote about Mike McCarthy above could apply to Carroll’s long and successful reign in Seattle. Both are Super Bowl-winning head coaches who haven’t been able to match their high-water marks despite having the services of one of the game’s elite franchise quarterbacks. The Seahawks are 3-3 and their season could still take off and gain momentum. But it feels like Carroll has already done this best coaching work in Seattle, and the heady days of 2012-14 won’t be re-created. With Paul Allen’s surprising death this week, a change in team ownership might further create uncertainty about Carroll’s job status. 10. Dan Quinn, Atlanta: Quinn has done quality work in his three full seasons with the Falcons, and had his team in the Super Bowl 20 months ago. But key defensive injuries have led to a disappointing 2-4 start thus far this year, and if things snowball in the wrong direction it’s not inconceivable Atlanta could contemplate making a change for 2019. It’s probably not likely, but I do think it’s important that Quinn shows he can keep his Falcons competitive and playing hard this season despite their challenges. How Atlanta finishes this year will make a statement on Quinn’s ability to both motivate his club and execute winning game plans. There’s a lot to still be determined about the 2018 Falcons, and the course of these final 10 games are very consequential. Atlanta owner Arthur Blank is not hesitant to move on quickly — see Jim Mora’s mostly successful tenure, 2004-06 — if he feels it necessary.